At the start of restaurant week, I couldn’t think of a single reason why trying out lots of restaurants at discounted prices might not be a good idea. So I did just that, however I didn’t make bookings as soon as the system opened, so I paid the price: The places I really wanted to try were mostly fully booked. The week coincided with Santhuri’ s trip to Italy so in addition to making bookings I had to secure willing dining partners. Fortunately task two was easy (what would one do without friends). First up Athol Place, this had been on BOH’s to-do list for some time so I was glad to see it on the list. Like the rest of the world, we are completely loving boutique hotels at the moment (beautifully decorated space meets personal attention- yes please!). Athol Place did not disappoint- the property is gorgeous, restaurant beautifully decorated and every staff member ready to become your new best friend. They had a set menu for restaurant week, although the lack of choice would ordinarily be an issue, this menu was so well put together we barely noticed the limited options. The service was on point, the food very tasty and the ambience pleasant. All in all we had a really nice dinner and are looking forward to returning to try out more of their dishes. There are a number of Pretoria based restaurants on the to-do list, however thanks to last minute planning, these were already booked. This place wasn’t on the to-do list, however I wanted to show Pretoria some love as well. 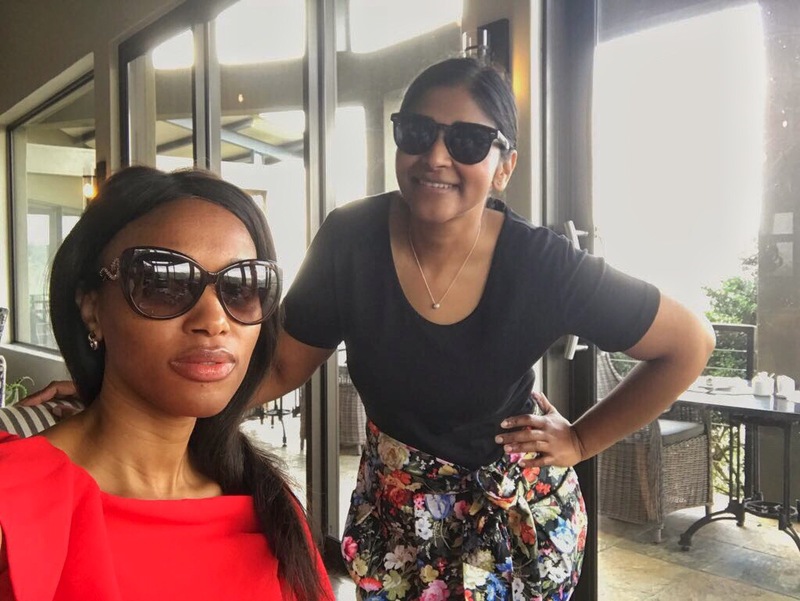 De Kloof was voted as the #1 restaurant in Pretoria during Restaurant Week 2015 and their pastry chef has also won some awards so I decided to give it a try. My experience at this restaurant still has me wondering whether Restaurant Week is value for money: Did we get sub-standard food because we ordered off the Restaurant Week menu? How could our experience be so different to what our waitress claimed (she insists that patrons rave about their food “if anything they complain about the service but never the food”). Cleanliness: The carpet was dirty, and even some of the plates weren’t clean. Ergonomics: The table was too small, we struggled with fitting our plates on the table top and I couldn’t even cross my legs at the ankles (I wouldn’t be surprised if my friend never accepts another dinner invite from me since I spent the evening kicking her). Food: The dishes are creatively named (“De-livery” for a liver dish for example), but barring my starter (Gott Apple), the food was dense and lacked creativity). Gott Apple is a cauliflower and goat cheese fondant with apple puree, the flavours work really well together. Service: Our waitress was more interested in serving a table of 8 than ours: she rushed us through our order and unashamedly said “my other table has been waiting too long, I will deal with your tea order when I finish with them”. Knowledge of menu: I ordered a seafood dish called octopus vs. squid. When our waitress brought the food to our table she quickly explained my friend’s dish and then made a run for her favourite table of 8. When I called her back to ask what was on my plate and she simply said “oh, it’s just squid and octopus” so I pointed at the piece of white carbohydrate that made up fifty percent of the meal. I was numb with shock when she confidently told me it was basil! It looked like polenta, although it could have been mashed potatoes, but the waitress insisted. She came back a few minutes later to inform me that the chef said it is basil and some nuts. At this point I had already diagnosed it as their take on potato gratin. I didn’t taste or see any basil and nuts. Despite her many indiscretions, our waitress was friendly and chatty in a manner that made it difficult to hold anything against her. By the time we had ironed out our differences, she was ready to marry us off to the single brother she doesn’t have. Needless to say, I will not be driving all the way to Pretoria to visit De Kloof anytime soon. What a lovely way to spend a Sunday afternoon. We choose the three course lunch option and thoroughly enjoyed the food. The place is laid back without compromising on service. LBV is a great everyday eatery. The menu selection was good and for once the vegetarian option was the more popular dish- I had the mushroom risotto which was quite delicious. The dessert, however was the highlight. It was beautifully presented and the flavours complemented each other (a medley of berries, mascarpone meringue and sherbet. It’s also very convenient that they keep a few of their tables free for walk-ins, so on days when planning has failed you, luck might be on your side. The final contender- Vini’s, is sat in a quiet place away from the other restaurants in Bedfordview. A nice family restaurant with very generous portions. If you are looking for a nice hearty meal with the family, this is the place to go. The trio of dessert completed the meal perfectly, however, like the other dishes, the portions were very big and no one could finish it. The restaurant wasn’t very busy and the chef left the kitchen a couple of times but instead of interacting with the patrons. He chose to roam around the empty tables and chat to the staff. I didn’t really mind this but I found it interesting. All in all, AtholPlace Restaurant is worth the splurge!